In Love with Kunu | Irene Abdou Photography, LLC - Travel. Lifestyle. Documentary. NGOs, Development & Public Health. 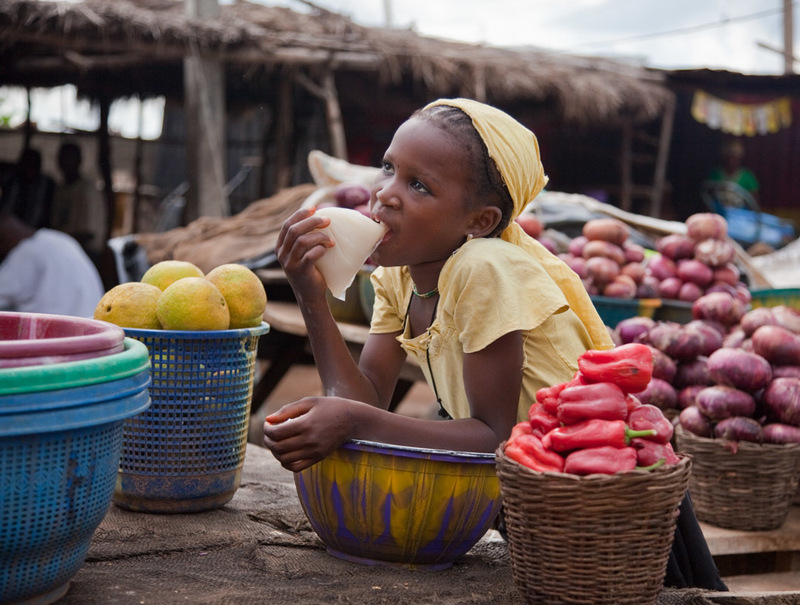 A young Fulani girl drinks "kunu" from a plastic bag, while manning fruit and vegetable table at a roadside market in Nigeria's Niger State. Kunu is a delicious millet drink spiced with ginger.